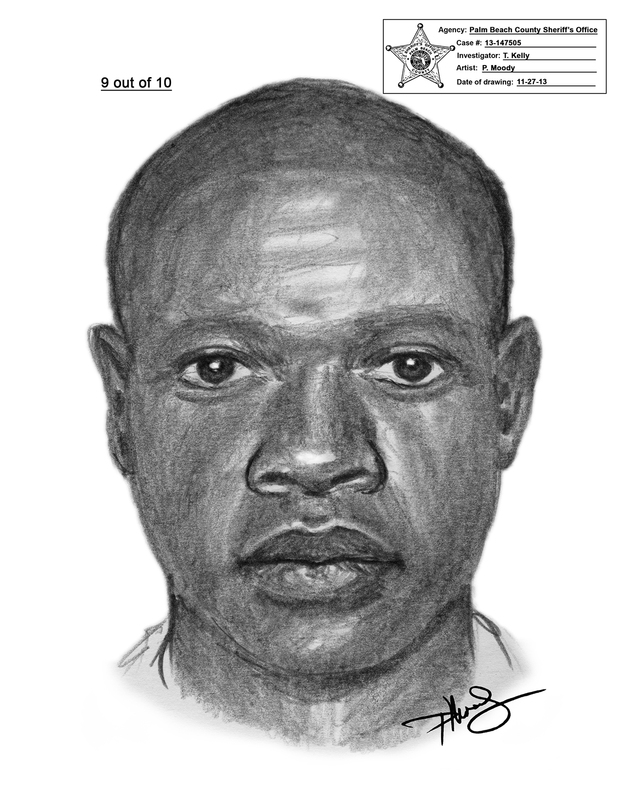 On November 23, 2013, an unknown suspect committed a strong arm robbery to a person walking in the area of Tiffany Lakes, Mangonia Park. The suspect is described as a dark skin, stocky build, bald, B/M, 25-30 years of age. He was last seen wearing a white T-shirt, black draw string shorts, black and white sneakers and white socks. If anyone can identify this suspect they are urged to contact Crime Stoppers at 1-800-458-TIPS.